Not you; this church. 😉 Throughout my weekend adventures in Santa Fe, I realized I couldn’t just eat and shop. Ok, maybe I could have, but I wanted to also include visits to historic sites. Of course, I spent some time at the Plaza, but what I really enjoyed was my visit to San Miguel Mission. 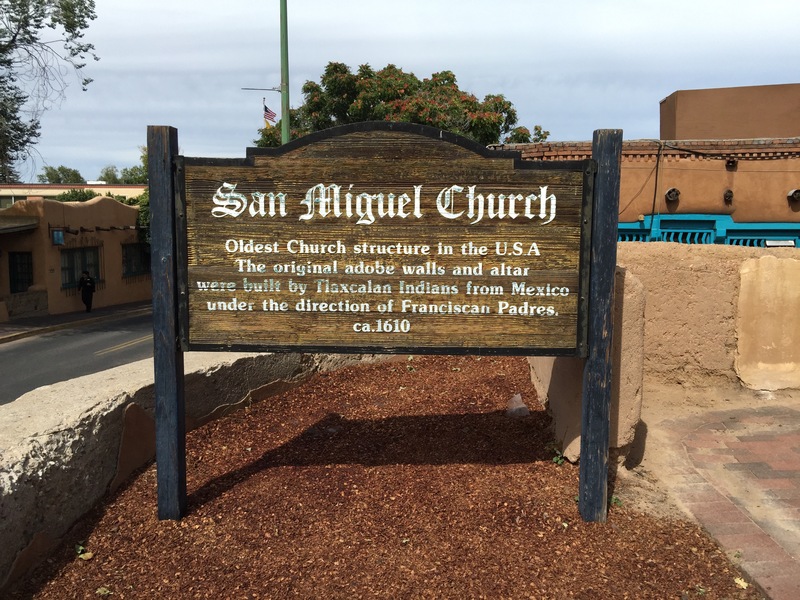 San Miguel Mission is considered to be the country’s oldest church, dating back to the early 1600s. Though it has required some reconstruction over the years, it has been in this location since it was first built. The church is still in use today, and is open to visitors during the week. There is also a gift shop where you can purchase locally made handicrafts to help support the church. I got the feeling that in Santa Fe there is a rich appreciation for history and a respect for one’s heritage. I like that the city continues to preserve this church, as well as other historic sites in the area. What’s the oldest structure you’ve visited and where is it located? Share below.